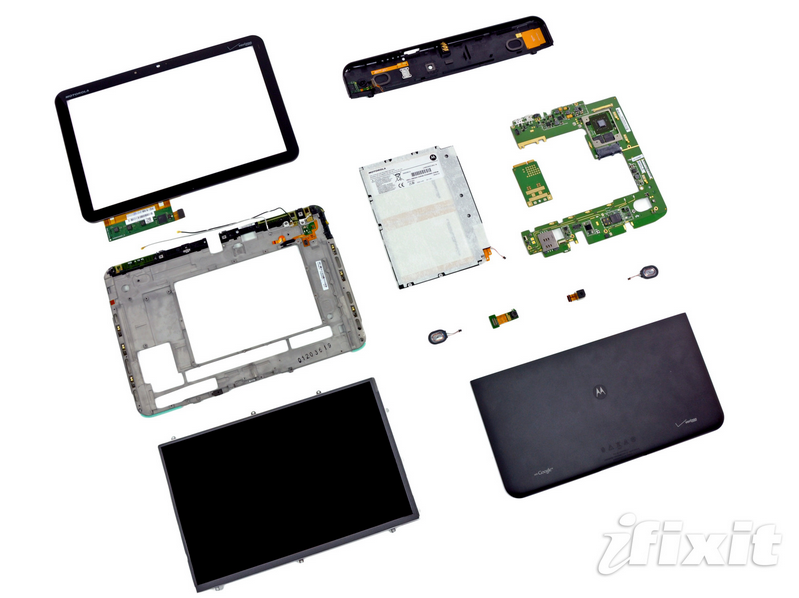 The good folks over at iFixit gave the Motorola XOOM a teardown this morning, and aside from the ridiculous 57 screws holding it together, it has been deemed pretty tinker-friendly, scoring an 8/10 on the repairability meter. One interesting piece of information did emerge during the XOOM's disrobing, though - in regard to its much-touched LTE upgradeability. The teardown's author noted that the XOOM ships with a dummy mini-PCI board, presumably holding the 4G LTE radio's slot. What's so fascinating about that? Well, the author claims a seasoned technician could swap out the dummy card and close up in about 10 minutes. In fact, the procedure is so simple that iFixit suggests in-store technicians or even Torq-driver-toting consumers could probably handle it without much issue. Presumably a software flash of some sort will be included with the LTE upgrade to accommodate new radio firmware (assuming said firmware is not already on the XOOM), so that might increase the time by a few minutes, but nowhere near Verizon's now laughable 6 day estimate, which requires customers to ship their XOOMs directly to Motorola. It doesn't sound that difficult to send out some Motorola techs, or train some Verizon ones, to get this done in at least some major markets on-site, instead of paying for a bunch of FedEx shipping and depriving your customers of their product for a week, even if it is free to them.